Hello everyone! I am sure that by now many of you have started school or are just about to go back. I have amassed quite a few tips for studying and organization to be successful in the school year. I take my academics very seriously, so I hope my experience can help you develop your own "smart habits" for school. 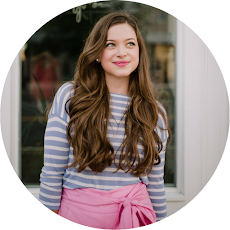 Today's post is in collaboration with Katie from Simply by Kate . You can view her post here. She will be discussing how to organize your dorm room, which I am just now figuring out as I just moved into my dorm this week! I hope you all enjoy these different perspectives to help either your high school or college experience! If you are not doing this already, make sure to write every single thing in your planner. I am pretty good at remembering dates and homework assignments, but I still think it’s important to write down everything just in case your brain fails you one day (happens a lot surprisingly!) and you forget a minor assignment or activity. I also like writing down everything because it makes it easier to visualize the week. I have a Day Designer, which makes it simple to plan out your day as well as the upcoming week. By seeing everything laid out and in front of me, I feel more on top of things and productive. If you want to check out how I organized my old planner last year, check out this post. I will be posting an updated plan with me post in the upcoming month. This also goes along the lines of the tip above, but I find this super helpful on those busy nights with lots of assignments. I write the to-do list on a sticky note as well as in my planner. Day Designers have a separate section for daily to-do lists, which is one of the reasons I love it so much. If you don't have a planner with a daily to-do list section, just make your own with a lined notepad. 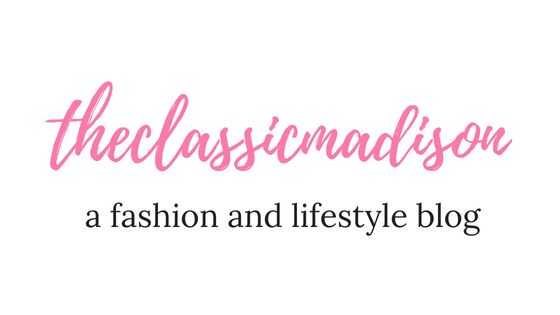 Make it cute to so you are actually encouraged to make your lists! Check off your lists as you work through- you will feel so much more organized and productive. And for some psychology tid-bits, writing down your tasks makes your memory's job a whole lot easier. You are less likely to forget to do something. So, get those to-do lists started! If you do poorly on a test, review and correct your mistakes. It may sound cliche, but learning from your mistakes helps you to not make them in the future. Rework math problems, re-conjugate your Spanish verbs, etc. If you need further help, talk to your teacher. They can explain why you got the problem wrong and how to correct it in the future. Each time you get your test or paper back, correct them. Hold onto your corrections so that when it comes to midterms and finals you can review the problems you have missed in the past. Stay on top of things each test/paper and by the end of the year when you have finals, make your study guides out of those problems and questions you missed before. To stay organized physically, I recommend cleaning out your binders and folders every couple of weeks. Get rid of any unneeded papers and make sure each handout is in its proper place. I recommend finding a method to your organization: whether that be placing items in chronological order or organizing based on notes, tests, homework, etc. By cleaning out every couple of weeks, you are preventing a major mess that I sometimes go through- the folder with every unwanted paper ever. There is noting wrong with asking for help from a teacher or hiring a tutor. By asking for help early when you need it, you are bettering your understanding early rather than later. You can even hire a tutor or ask for help to get ahead- I did this in AP Calc when I wanted to feel more confident in the subject. I hired a tutor to help me with my homework but also to introduce topics before I learned them in class. If you don’t have the money for a tutor and you don’t want your teacher to help you (which is totally ok- some people learn better from others), I suggest finding youtube videos on subjects. Khan Academy (which is free!) and Crash Course (also free!) helped me out in multiple classes. If you need help finding an actual tutor, I suggest trying out Wyzant. I used this for calculus. It’s an online “database” of tutors that you can find based on location, subject, reviews, and more. You can tutor online or meet in person. I highly recommend checking this out- I wish I would have known about it sooner. Similar to the note taking tip, I recommend making your own study guides for tests. Rewrite the most important parts of your notes (especially the topics that are more difficult). Highlight formulas, vocab words, rules, etc. Create a method that works best for you and stick to it for all your study guides. By the end of the term, pull together all the study guides and use those for part of your studying. While it’s important to organize your binders and notebooks, it’s also equally important to organize anything in your life that relates to school such as backpacks, lockers, and desk/study spaces. Keeping tidy spaces makes you more willing to get to work and study, especially when you know where everything is. This also makes things more productive, as everything has its place and nothing is cluttering up your work area. If you have trouble keeping these things tidy, make a habit of cleaning up the areas once a week. It’s easy to let unwanted papers fall to the bottom of your backpack and locker and let stacks of papers pile up on your desk. Cleaning up and organizing these areas once a week can make a huge difference in the tidiness of the area and your productivity. Often overlooked, your laptop needs to be organized and cleaned out every so often as well. If you use Google Drive like me, documents tend to get unorganized if you don’t rearrange them. I suggest creating specific folders for classes, personal life, and work-related documents. Clean out these folders every month or so, especially at the end of the term when you don’t need those notes anymore. Also be sure to organize your own directory, making sure your desktop is clutter-free and your documents are organized as well. If you find yourself running out of space because of photos and documents, consider purchasing an external hard-drive for any things you don’t need frequently but don’t want to delete. I hope these tips help you get into a groove this school year in becoming the most successful student you can be! I love being organized especially with my school work, and I know you will too. 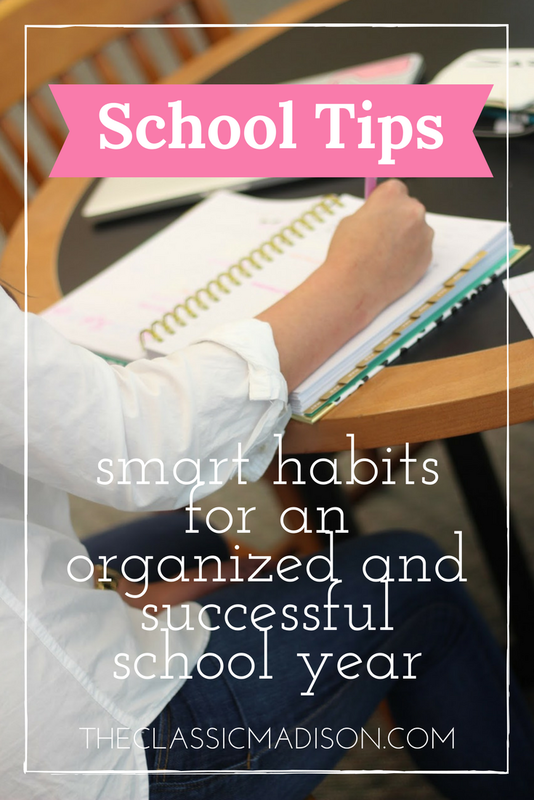 If you have any habits that help you to stay organized and successful during school, leave me a comment below! Good luck with school- you will do great! 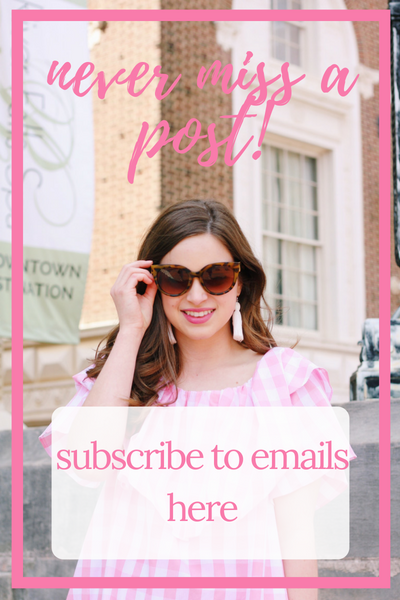 Well post! I can't clarify the magnificence of this town that is the establishment of a decent country and I need to thank you for appreciating the working of those individuals about australian writings au who are full supporters to build up this excellent and regular town with all the common assets.